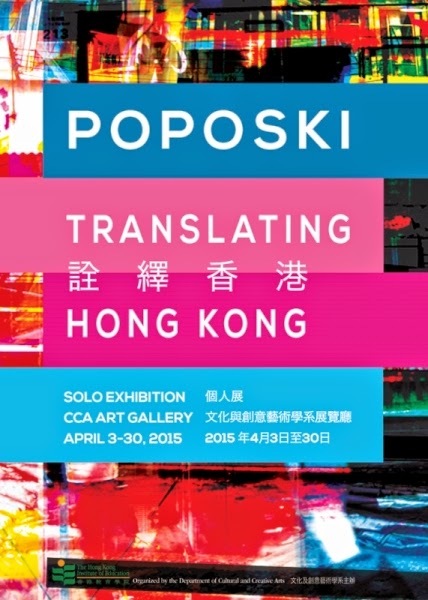 For his 13th solo exhibition, Translating Hong Kong, artist Zoran Poposki presents a series of urban landscapes as a form of translation/transcoding of Kai-cheung Dung’s novel Atlas: The Archaeology of an Imaginary City. Works in this project have previously been shown internationally to critical acclaim, including at the 30th Biennial of Graphic Arts Ljubljana curated by Deborah Cullen, director and chief curator of the Miriam and Ira D. Wallach Art Gallery, Columbia University; at Viridian Artists Gallery in New York juried by Elisabeth Sussman, curator at the Whitney Museum, New York; and international art festivals in Denmark, Slovenia, Italy, etc. 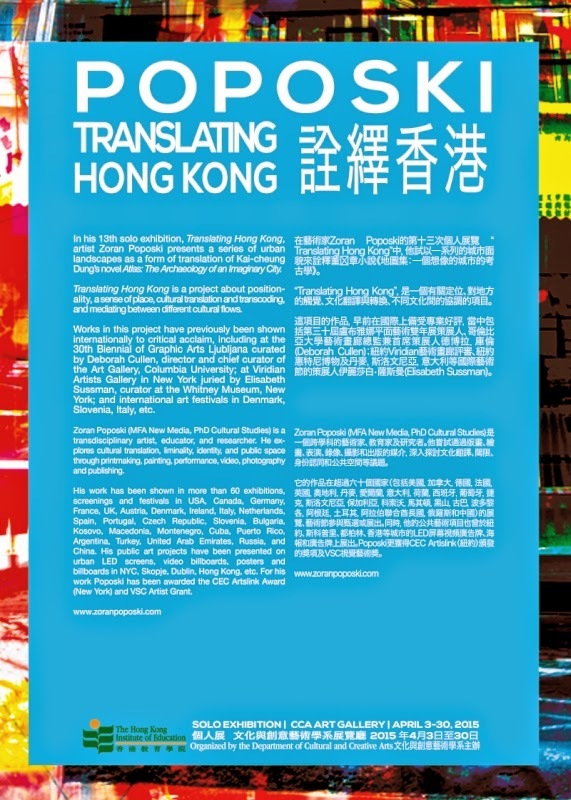 Poposki’s project starts off a book of (postmodern) fiction about Hong Kong, then traces the locations in that book onto the real terrain of today's Hong Kong by means of a psychogeography documented in digital photographs, and is then once again transcoded into visual form as a series of mixed media works and video. This is a project about positionality, a sense of place, about cultural translation and transcoding, and about mediating between different cultural flows.